Danny Gregory and his wife, Patti, hadnt been married long. Their baby, Jack, was ten months old; life was pretty swell. And then Patti fell under a subway train and was paralyzed from the waist down. In a world where nothing seemed to have much meaning, Danny decided to teach himself to draw, and what he learned stunned him. Suddenly things had color again, and value. 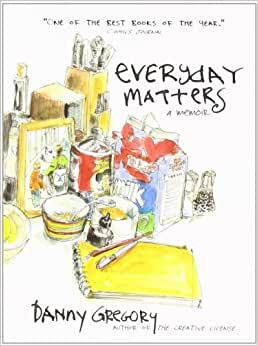 The result is Everyday Matters, his journal of discovery, recovery, and daily life in New York City. It is as funny, insightful, and surprising as life itself. Danny Gregory is the author of The Creative License, Hello World, and Change Your Underwear Twice a Week. His web site, DannyGregory.com, receives thousands of visitors each day. A contributing illustrator to The Morning News web site, he lives in Greenwich Village, New York, with his wife and son. extraordinary book, you will be touched by the first four pages. A little book tells a simple story, a hard time self reorientation, soul searching. and finally find an approach to embrace what life has offered, naturally, beautifully, and warmly. 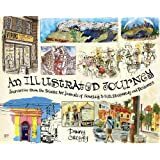 Although this is a book telling Danny Gregory's story of his wife and their son Jack, it's also his story about what prompted Danny to teach himself to draw. If you're a seasoned artist, or just beginning to dabble, quickly run to your computer and order any of Danny Gregory's books. He is one of my favorite authors! He is so inspiring and sensitive. I took one of his online "Sketchbook Skool" classes and was immediately hooked. 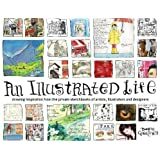 He's down to earth, humorous, and captures your heart with his life stories and his incredible way of urging anyone to draw, because it's really not about drawing, it's about seeing. Danny's books have helped me have fun drawing and painting things like my breakfast in the mornings, and if I'm really stumped as to what to draw, I've been known to take off my shoe and try to draw my foot. It's not perfect, it's fun! And, if you're looking for a perfect rendition of a subject or object, get out your camera and take a picture, but it won't be as much fun! 4.0 颗星，最多 5 颗星Not much of a Story but the artwork is nice. I liked it. I was drawn in by the story of why he went into drawing that I read in the preview (his wife getting into an accident) but I felt the book focused on the repetitive theme of how drawing helped him cope .... and that he recommends it. That's great buuuut I felt the story only hit the surface of what was going on. I wasn't expecting great literature but I felt there was so much missing, so many more questions about the accident, about everyday life after the accident. In the book, he said things changed after his wife's accident, they did things differently - well how did you do them differently? On the other hand, this is the first sketchbook I ever bought (although I have bought graphic novels before). Perhaps the focus is on the sketches. In which case, I'm not sure I'd've bought it. The sketches were nice, just not sure it would draw me in enough to make a purchase. 5.0 颗星，最多 5 颗星It totally changed how I saw the world and was a brave thing for me to do as I am a terrible drawer. I bought this book as a present for my friend. I read this book many years ago and found it very moving and inspirational, thus, I began to draw/sketch my world around me as did this author. It totally changed how I saw the world and was a brave thing for me to do as I am a terrible drawer...it didn't matter...only Everyday Matters! Very touching story about how his family unit was changed by his wife's unfortunate accident. His drawings/sketches are expressive and demonstrate a style that I really enjoy and will try to mimic on my own. I liked that this was not a "how-to" book, but still it visually shows a drawing style, from a simple doodle, to more completed drawings (with watercolor), how the reader could learn to draw. Love this little book! our character, our core being - from which we grow, learn and decide. In this case an event cause this. The result appears to have produced a catharsis of imagination and a eventual growth, a thightening of the family, and as a result the contents of this book. It and The Creative License... Are well worth the reading, viewing and trying.